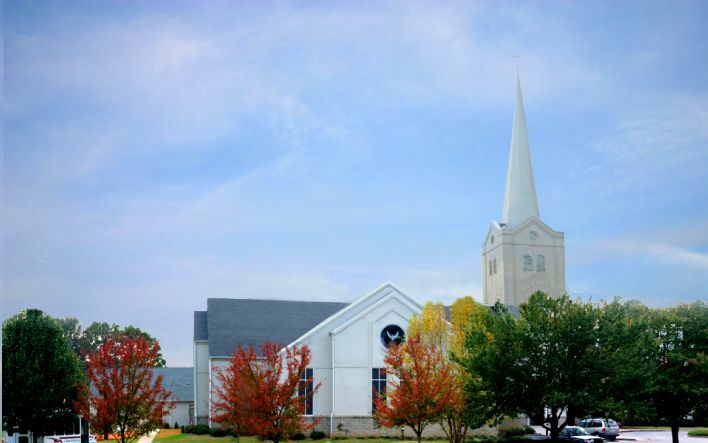 We want to make your first and every visit to McKendree UMC a welcoming and enjoyable experience! Below is information on our worship services, nursery and childcare, and of course, coffee! 9:30 - 10:30am - A more casual service of worship featuring praise and worship music from the McKendree Praise Band. The message is the same at both services. Communion is served on the first Sunday of each month for anyone who would like to participate. 11:00am - 12:00pm - A worship service that includes many Methodist traditions including the Affirmation of Faith, and featuring music by the chancel choir. The message is the same at both services. Communion is served on the first Sunday of each month for anyone who would like to participate. We love our babies! And we take their care and safety very seriously. All of our nursery staff have been screened with detailed background checks, are trained in CPR, first aid, and Safe Sanctuaries. If you have any questions contact Lisa Engberg at lengberg@mckendreeumc.org. Programming for pre-K through 5th grade is available during both worship gatherings. Safety for children is a top priority. All of our volunteers have been screened with detailed background checks as well as trained to make church a fun and safe environment for your kids! For questions about kids programming contact Susan Rowe at srowe@mckendreeumc.org. This age group meets in room 211 at 9:30am. Playtime, music, and fun activities are used to teach the Bible lesson of the day. 1st-5th graders are invited to be a part of the worship experience with their families in the sanctuary at 9:30am. Pick up a "Kids Worship Bag" from the back of the sanctuary and complete the activities during the service. Also, listen for the "Worship Word" given at the beginning of the service! Kids will receive a prize when they return their bag at the end! 3 and 4 year olds will meet in room 211 before the service begins. Playtime, music, and fun activities are used to teach the Bible lesson of the day. Kindergarten - 3rd Grade: Kids Grow! K-3rd graders will start in the Sanctuary with their family. During the part of the service called, "A Time for Young Disciples", this age group is invited to come forward for a brief lesson and prayer. Then all the kids from K-4 are dismissed and led by volunteers to room 317 for kids worship and praise music with the Youth Praise band. 11:00am- 12:00pm, room 303-304 in the education building. Coffee and donuts are available in the Fellowship Hall before both the 9:30am and 11am services. Feel free to hang out and connect with others! If you have any questions about your visit, please contact Susan Rowe, at srowe@mckendreeumc.org. We look forward to seeing you!